Absolute Plumbing & Boiler is a family owned, full service, repair, and replacement, plumbing and boiler contractor which has been in the business since 1992. We offer personal service, trust and reliability at affordable prices. Delivering knowledge and craftsmanship on every job is our mission. We’re a local, family owned business. 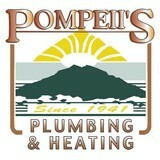 For three generations, since 1941, Cleveland area home owners have relied on Pompeii’s for fast, lasting repairs of plumbing and heating problems. We service residential and commercial markets. About 65% of our business is now green plumbing however, our plumbers are capable of handling any plumbing job from small repairs to complete facility renovation or construction. Our highly experienced and qualified staff specializes in customer service. We offer personal service at the highest level. All service technicians are fully qualified and trained to repair your problems. All service trucks are fully stocked and radio dispatched for rapid response. Our large fleet of service vehicles offers you reliable, same day and 24 hour emergency call service in the Greater Cleveland area. Quality Without Question My Plumber Inc., is both a plumbing contractor and a general contractor. Plumbing service work is our specialty; all repairs are done correctly, the first time. We perform sewer and drain work, snake out (cable out) and high-pressure water jetting, and we can electronically locate drain and sewer lines. We utilize a color sewer camera for high-visibility diagnosing and recording. In most cases we have a flat rate price, and we will tell the customer the price before we start. At Approved Plumbing Company, it is our philosophy to provide exceptional customer service by being prompt, courteous, knowledgeable, and reliable. 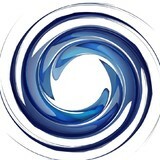 We constantly strive to be highly efficient and organized in all aspects of our business. We use only the very best in quality material and state of the art equipment. Our employees are highly trained individuals who take great pride in their work. We pride ourselves in being honest, loyal, and true professionals. 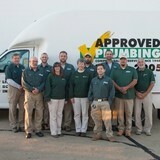 We are a full service residential and commercial plumbing company. We offer free estimates and flexible service hours-- and we clean up when we're done! For over more then two decades, DPS Plumbing has been providing the best customer service and quality to North Olmsted,Ohio and other surrounding areas. Our dedicated staff of plumbers and technicians are highly-trained and experienced workers. We always guarantee a job done right the first time. DPS Plumbing guarantees quality services and repairs, expert installations, and 100% customer satisfaction once we complete your service. Call us today! We provide exceptional service with a smile, taking care of all our customers plumbing repair and remodeling needs. J&J Plumbing Heating and Cooling is committed to providing professional, residential and commercial plumbing and heating services to the Summit, Stark, Medina and Portage County areas. We are proud that our technicians play a vital role in providing comfort and world class service to our clients on a daily basis. Reliable Contractor Services provides expert Northeast Ohio residential, commercial, municipal and industrial plumbing, drainage and foundation waterproofing services. With Over 10,000 customers since 1999, we have a Better Business Bureau A+ rating and are a multiple recipient of the Angie's List Super Service award. OH license #23730. We also provide new technology solutions in Trenchless Pipe, Sewer Jetting Vacuum Services, and Genera and Hydro Excavation. 24/7 Emergency Services available. Other services include sewer cleaning and backflow devices, septic tank repair/replacement, water heaters, sump pump and PumpSpy sump pump monitoring system certified installer, video pipe inspection and high pressure jetting. Did you know that 85% of newly built homes experiences a water problem within the first three years? With this fact in mind, even if you are one of the lucky few that have never had to experience a damp musty smelling basement or crawlspace, why take the risk? Waterproof your property now! And the best plumbers and (big and small) drain specialist in the Cleveland area! 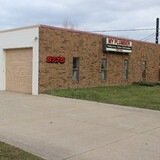 Your one stop shop (we do all the work with no subcontractors). From repairing that kitchen and bathroom sink to clearing tree roots from main lines. At Superior Drainage, we can provide you with all of your plumbing needs from sewer & drain cleaning to sink installation or faucet repair. Superior Drain is your best choice for a plumber in the Akron area. Let us handle your toilet repairs or water heater replacement. Our plumbing services will save you time and money. H. Jack's Plumbing and Heating Company provides plumping, heating, cooling and related services including air conditioning, hot water tanks, tankless hot water heaters, boilers, HVAC and more. 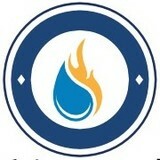 H. Jack's services both residential and business customers. H. Jack's is on call 365 days a year, 24 hours a day to help with any plumbing, heating or cooling related need. In addition, to repairs H. Jack's also sells and install new equipment including furnaces, hot water tanks, boilers, air conditioning units, toilets, sinks and more. H. Jack's can also help with your next remodeling project! Call us any time, day or night at (888) 458-1161. Since 1946, Providing first class plumbing, heating and A/C service and replacement! A plumbing contractor handles the installation and repair of water, sewage and natural gas pipes throughout a home, as well as interior and exterior faucets and fixtures. Plumbing contractors are also trained to work with water mains, septic tanks, laundry appliances, water heaters, sump pumps and other plumbing and pipe systems. Because plumbing repair work is done largely behind walls and beneath floors, some plumbing companies can also patch or replace tile, stonework and other surfaces. Although some Shaker Heights plumbers are generalists, others specialize in specific areas; a 24 hour emergency plumber will handle urgent residential repairs, while others may be more skilled in remodeling, natural gas lines, overhead sprinkler systems and more. Find a local Shaker Heights plumber on Houzz. Narrow your search in the Professionals section of the website to plumbing contractors in Shaker Heights, OH. You may also look through photos of Shaker Heights, OH projects to find a licensed plumber who has worked on a project similar to yours. Here are some related professionals and vendors to complement the work of plumbers: General Contractors, Septic Tanks & Systems, Kitchen & Bath Designers, Kitchen & Bath Remodelers.